Toy Boxer | Home of the cutest dogs around! Gifts for the Boxer Lover! Toy Boxer – what is it? 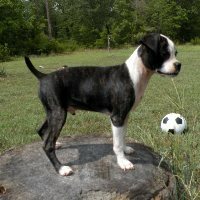 Some breeders are simply breeding the Boston Terrier mixed with the Boxer. This cross is recognized by the American Canine Hybrid Club as the Miniature Boxer. 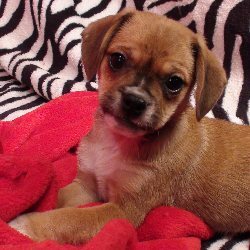 The best way to determine the temperament of a mixed breed is to look up all breeds in the cross and know you can get any combination of any of the characteristics found in any breed. Not all of these designer hybrid dogs being bred are 50% purebred to 50% purebred. It is very common for breeders to breed multi-generation crosses. 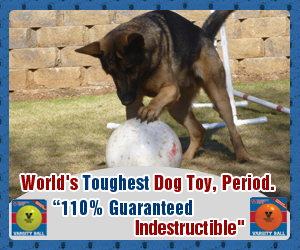 By the way, if your dog seems to NEVER tire out, you might need the Varsity Ball – guaranteed indestructible, and dogs love it! So many people think there’s no cuter puppy than a boxer puppy. But many of us wish they could stay that small. Toy Boxers grow up to be the size of a Boxer puppy between 5 and 20 lbs.! Ideal for the person who loves the AKC Boxer but doesn’t have the space or energy to keep up with one. You are going to love the smaller alternative, the Boxiebear. He fits in! Hours of fun for your dog – highly recommended! Home of the cutest dogs around!